Maya is the latest release by catalan artist Nigul (aka Jaume Muntsant). After one year of hard work and being busy with his other project Hermético, Muntsant releases his fifth album until the date. 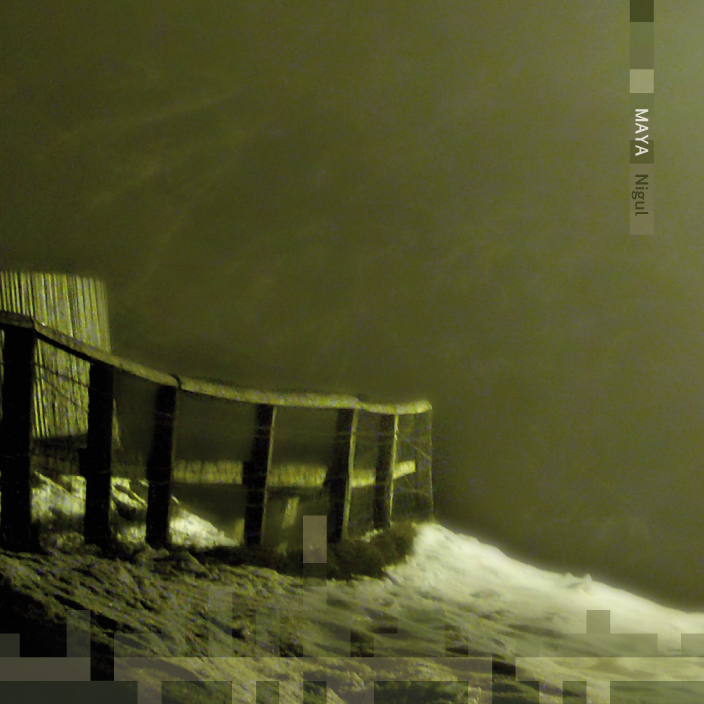 Maya is a new twist on this dark ambient project. This time Muntsant releases a more aseptic album, cleaner and more minimalistic than its previous. It seems that conceptually Hermético and Nigul are getting closer in terms of economy of media and aesthetics. Despite this minimalistic issues, Maya also contains the list of themes that Muntasnt loves to bring up to the light, such us epic nostalgia, farewell encounters and misterious names of tracks. Finally, with Maya, Nigul is walking a new path in which the guitar takes a new role on the construction of sonorities. As well there is always a special care on building a narrative flow of hidden ideas, lost stories and all sorts of secrets beneath all the layers of sound structures. And this is a reminder of the inspirational referents of this catalan artist, dark stories, secrets, epic, and finally David Lynch, somewhere watching us. All tracks produced and arranged by Jaume Muntsant. 2009. "Nigul es Jaume Muntsat, (Hermetico, Oir para creer), después de un año desde su ultimo trabajo como Nigul, aqui tambien en Audiotalaia, vuelve para deleitarnos con este estupendo trabajo de ambient drone. Bastante menos oscuro que los anteriores trabajos pero manteniendo los conceptos fundamentales e hilos conductores subyacentes a este proyecto, tales como el aire misterioso, épico y extraño, como de película de David Lynch. Tambien podemos percibir el uso de patrones bastante mas minimalistas, asépticos y desnudos. La guitarra que ha introducido en ciertos temas ayudan a dar cierto aire nostálgico. Personalmente creo que es su mejor trabajo como Nigul, el mas maduro, y donde demuestra una gran maestría a la hora de generar y manipular sonidos. Muy recomendable." Maya by Nigul is licensed under a Creative Commons Attribution-NonCommercial-ShareAlike 3.0 Unported License.